The little village of Mismaloya lies just south of Puerto Vallarta along Highway 200. This beach is famous because it’s where scenes from the 1963 Hollywood movie Night of the Iguana was filmed. This is the movie that thrust Puerto Vallarta into the spotlight where it quickly entered international consciousness. To get to this beach, look for the sign for the Barcelo Resort. The narrow road leading down to the beach runs along the south side of the resort complex. Mismaloya Beach wraps around the water in a lovely cove shaped like a U. 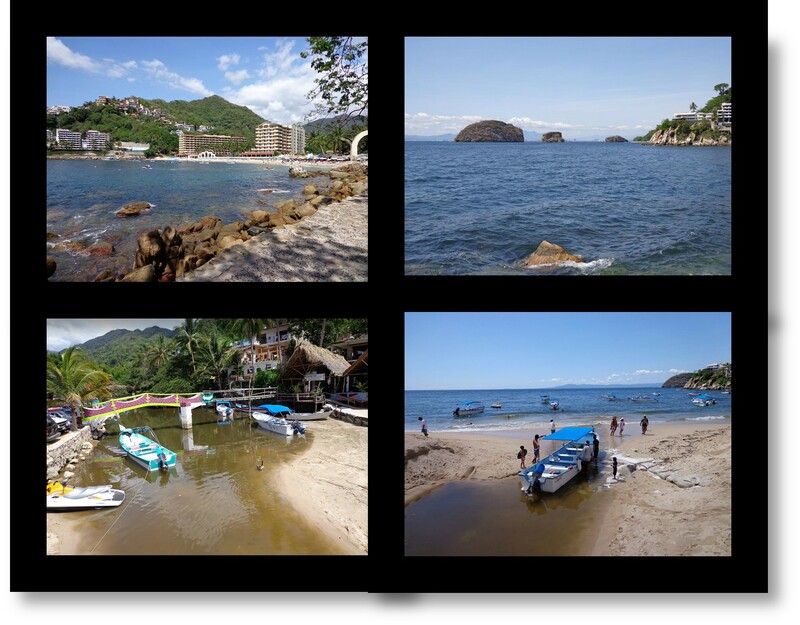 From the beach visitors have a wonderful view of the famous Los Arcos granite rock formations which is a favorite location for scuba divers and snorklers. Along Mismaloya Beach there are vendors selling sun hats, beach toys and a variety of Mexican handicrafts. Conveniently, there are a few beachfront restaurants ready to serve cold beverages and delicious entrees. Loal fishermen launch their boats directly from the beach.